Snorkel and sightsee around the island on this 2.5-hour adventure. 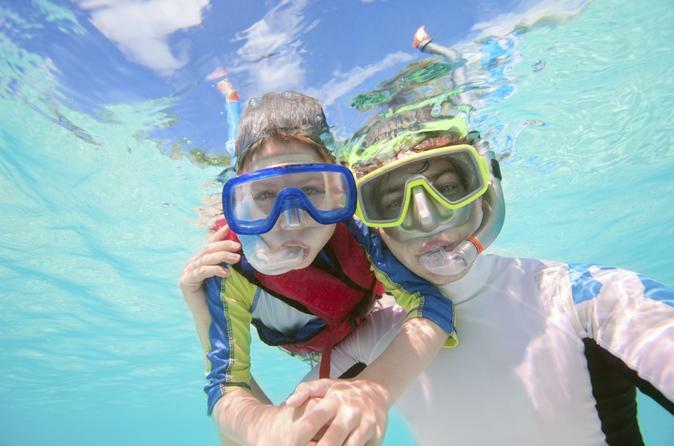 Pilot your own 2-passenger inflatable watercraft to idyllic snorkeling locations in Happy Bay and Baie Rouge. Accompanied by the guide boat, the Rock 'n Roll, you'll explore the island's turquoise waters and sandy beaches while enjoying cold refreshments. Snorkeling equipment is included. Make your way to the Pelican Marina in Simpson Bay, the launching point for your day's adventure. Listen to an orientation and short safety briefing before climbing into your inflatable boat. Each boat can accommodate 1 or 2 passengers. Set off along the coast of St Maarten, piloting your own boat. The guide boat, the Rock 'n Roll, will accompany you, bearing cold refreshments and snorkeling equipment. Feel the Caribbean breeze in your hair and the sun on your skin as you skirt the island, headed toward Happy Bay and Baie Rouge, two of St Maarten's best snorkeling spots. 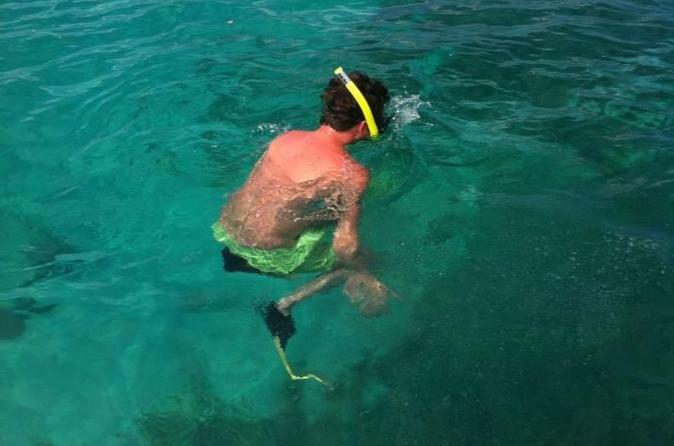 When you reach your destination, collect your snorkeling equipment from the guide boat and jump in. Spend time exploring St Maarten's underwater world, including schools of tropical fish and vibrant coral reefs. After 2.5 hours of exploring the beaches and underwater world around St Maarten, you will return to the Pelican Marina.